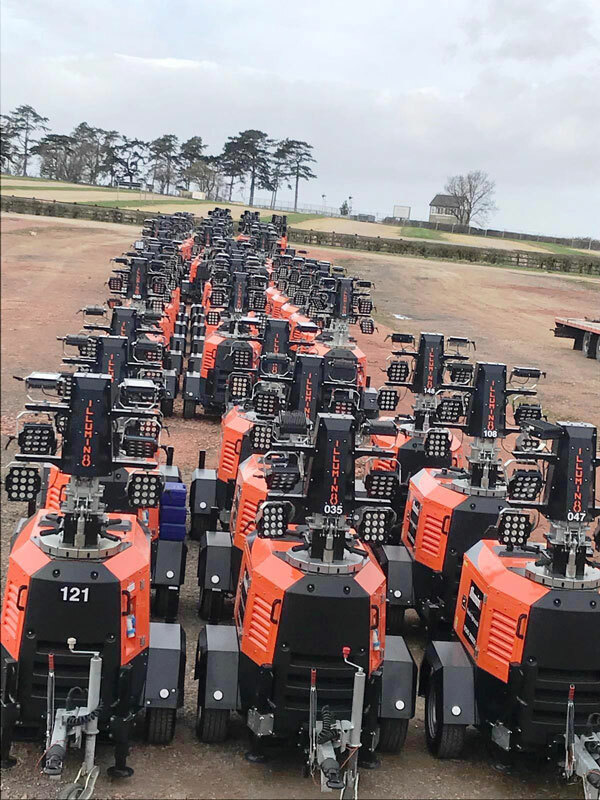 The site lighting specialists, Illumin8 Lights, are gearing up for a busy summer season, with the purchase of another fleet of X-ECO LED lighting towers supplied by the Cambridgeshire company, Trime UK Limited. The order was placed at the recent Executive Hire Show and has been valued in excess of £500k. “The X-ECO LED has become the mainstay of our rental fleet, with many clients asking for this set by name. Therefore, it became an easy decision to invest further in the X-ECO LED,” added Neil. Illumin8’s hire fleet is now made up of over four hundred Trime lighting sets and their complete fleet is entirely composed of Trime’s range of lighting towers. The X-ECO LED include, as standard, several safety and environmental features which have propelled this product to become a market leader. Its instant light and the built-in auto start/stop light sensor is a popular feature and with safety heightened by the X-ECO AMOSS safety system, users can be assured of secure, bright lighting at all times. The energy saving LED lamps have a guaranteed lifetime of up to 2000 hours. Illumin8 have added an advanced tracking system to their X-ECO LED sets. They can see, via a connected device, the actual location of each unit and supervise how it is performing. This enables an engineer to complete basic checks such as low oil, low fuel and low battery levels. The engineer will then report this information back to the operator for rectification before the set becomes inoperable. This saves time and helps to keep the project running by reducing any potential downtime. Illumin8 Limited was founded in 2015; the company provides a bespoke service hiring mobile tower lights to both the event and industrial markets. The Illumin8 management team combine over 40 years’ experience within the lighting industry. The company is based in Essex and delivers nationwide. Trime UK Limited has swiftly developed into the market leader in the supply of engine driven LED lighting sets. They have over 50 years of experience in the development and marketing of environmentally sustainable lighting sets for the construction and rental markets. Trime UK is headquartered in Huntingdon, Cambridgeshire; their manufacturing plant is based near Milan, Italy.